I bought the Santa Fe with hitch installed by Dealer. However, the tow package from Hyundai included only 4-pin wiring so I had to upgrade it to 7-pin. The 7-pin was required to accommodate electric trailer brakes and also for charging of the trailer battery while under way. A 4 to 7 pin conversion kit was purchased from eTrailer (ETBC7). I ran power straight to the battery, via 40 and 20 amp circuit breakers. Will have to add a switch/relay later so that I can disconnect the trailer from vehicle battery while parked for longer than overnight. Finally got around to tweak the Tow Car / Trailer wiring. Added relays so that trailer wiring is only hot when key is ON, meaning normally running. Once car is turned off no power going to trailer from car battery. No longer a need to unplug the trailer during overnights when trailer stays hooked up. In addition I added a 12 volt run into the car, behind the back seats, where the new fridge will live when trailering. This 12 volt outlet is wired almost direct to battery using #10/#12 wiring it will power our newly acquired Engel portable fridge. Fed from the car when it’s running it can also be fed from an auxiliary feed. This feed can be the trailer battery or some other 12 volt source. Going to add a Low Voltage Cut-out too so that I won’t have to worry about trailer battery being totally drained. 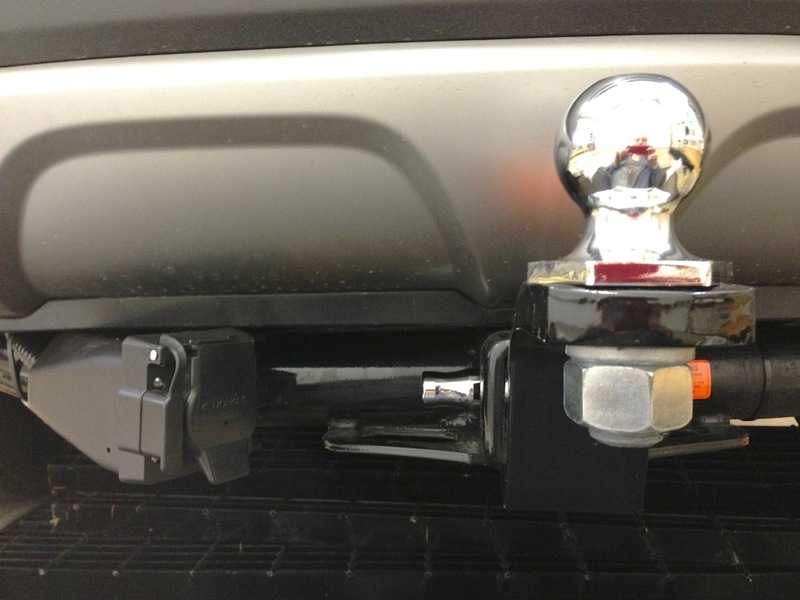 In addition to the additional 12 volt to behind the seat I also added a 110/120V extension terminating behind the hitch area. Similar to a block-heater installation I can now run an extension and easily run the fridge on 110/120V when available. Still have to add a Tow Mode switch so that the relays are only active when towing. No point of having the relays cycle when not towing. Have added relays and a tow mode switch. Also added a relay that switches power source for the Engel fridge in back of tow vehicle. When engine is running we use engine battery and when not, the trailer battery or 110 Volt if hydro power is available.